Home » Articles » What’s Really in Gun Cleaners and Lube? In almost every gun forum I’ve participated in, practically every question or discussion regarding firearm cleaning and lubrication products quickly descends to the same inevitable result: a stream of “sounding off” about what each shooter uses personally, an explanation of why they love it, what else they’ve tried, and a recommendation that everyone else adopt their choice because it’s “the best.” I fully expect that the comments on this article will follow a similar trend… which is fine. However, we should also acknowledge that humans are almost hard-wired to justify our own past decisions. This results in brand loyalty to cleaners and lubes running deep among gun owners, just as it does with car owners (Chevy vs. Ford, Lamborghini vs. Ferrari, Honda vs. Toyota, etc.). When humans encounter a product that might possibly work just as well (or possibly even better) than our current choice, we’re often hesitant to try it due to the “inertia” of our past choice, which can often result in an almost religiously zealous attachment to the brands or products we’ve previously chosen. I want to be clear before I go any further that I have no zealous attachment to any firearm cleaner, oil, or grease. I’ve tried a lot of them, and the vast majority are more than adequate for firearms use. I’ve even created a few of my own home-grown formulations… with varying levels of success. 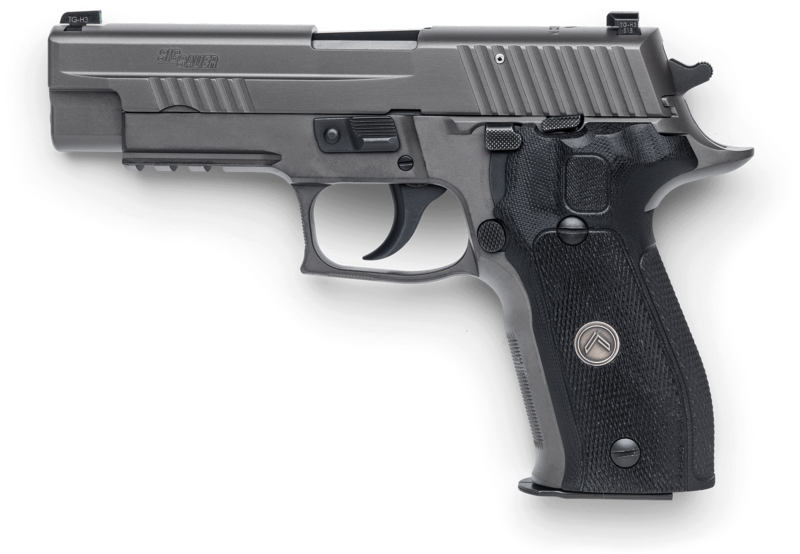 In this article, I’m going to mention a number of brand names of gun cleaners and lubes. But before I do, I want to make it clear that I don’t endorse any of them, I don’t make money from any of them, and I’m not trying to help or harm any of their reputations by mentioning them here. If anything I say about them is inaccurate, I will gladly update the article if reliable evidence of my mistake is provided. To show you a quick and easy way of identifying the primary ingredients for a majority of the gun chemicals (solvents, CLPs, lubes) on the market. 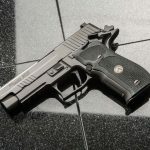 To expose that a number of manufacturers of gun-specific products also make non-gun-specific counterparts that are often very similar in formulation, work just as well, and usually cost a fraction of the gun-specific version. To demonstrate that many cleaners and lubes from different manufacturers are often far more similar than they are different. To convince you to be more “agnostic” in general about your firearms chemical choices, more willing to experiment with non-gun-specific products for your firearm, and perhaps be less “zealous” about your own product choices and less judgmental about others’ choices. But that’s not the case. There are actually only a handful of basic chemicals that ever have been, and currently are, commercially used for cleaning and lubricating metal. There’s nothing “magic” about the metals used in firearms; most often it’s some sort of steel, along with some alloy frames and titanium fancy bits on occasion. Maintenance products that claim to be made specifically for firearms… almost never are. A closer look often reveals that they’re usually based on other products that have been in use for a very long time, with possibly a pinch here and a dash there of something that allows the formula to be declared just different enough to be protected as proprietary intellectual property. But most of it is marketing hype. I recognize it because I’ve got a Masters Degree in Business, and my specialty is marketing. I have decades of experience generating marketing hype myself — so I know marketing hype when I see it. SDS aren’t designed to be read by general consumers. They’re designed primarily for commercial users who might be working with, selling, transporting, or storing certain chemicals. SDS only have to disclose chemicals that are classified as physical hazards (flammability, reactivity, or corrosivity to metals), health hazards (eye irritation, respiratory sensitization, or carcinogenicity), or environmental hazards (could poison streams, ground water, kill plants, etc.). The good news is that even chemicals that merely might be hazardous in even the rares of concentrations or circumstances are classified on OSHA’s HCS list (as well as the United Nations’ GHS), and must be included in an SDS. But the bad news is that ingredients classified as “food-grade” or containing chemicals not classified in the HCS or GHS do not need to be disclosed. This makes finding the ingredients for such products much more difficult. Manufacturers are not required to state the precise amount of potentially hazardous chemicals in their SDS. Rather, they can include a percentage range. This allows their exact formulation to remain confidential, and also allows for slight variation from batch to batch while still being accurate in the SDS. 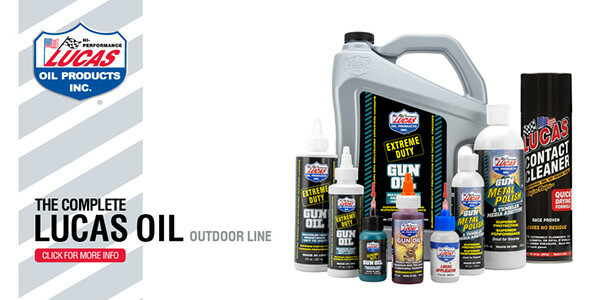 Let’s look at a few examples of SDS of popular firearms cleaners and lubes, starting with some from Lucas Oil’s Outdoor Line. Their products work as-advertised. Lucas has an excellent and well-deserved reputation in the motorsports world, and many years experience developing, testing, manufacturing, and selling high quality cleaners and lubricants. They’ve had a gun oil for years, but they’ve recently expanded their expertise into gun-specific products. Lucas makes their Technical Data Sheets (TDS) and Safety Data Sheets (SDS) very easy to find, and link them directly from the product pages of their website. Lucas has products lines across a variety of different markets, which makes it easy to compare those products and see how similar they might be… even at very different price points. Let’s start by looking at aerosol-based gun cleaning sprays. I use them regularly, especially when doing a full detail strip and clean after purchasing a used firearm. These products are great at quickly removing carbon, dirt, grease, and oil from a firearm and leaving nothing on the gun but its finish. Check out the Lucas Extreme Duty Contact Cleaner — and note that most of Lucas’ Outdoor Line products are labelled as “Extreme Duty.” They number their “Extreme” contact cleaner as product #10905. It comes in an 11 oz spray can. Its Technical Data Sheet contains mostly marketing hype, but it does indicate that the product is “non-chlorinated” (remember that… it will be important later). The really helpful info is contained in its SDS. Launch the SDS file in a separate window, and scroll through with me to find what we’re looking for. Section 1 talks about who actually makes the product. Lucas makes their own stuff, right here in the USA. Section 2 talks about specific hazard classifications, shows what types of labels should be shown in places where it’s used, stored, or transported, and talks about what precautions should be taken when dealing with the product. Methanol is also a well-known solvent that blends well with other chemicals. These four chemicals are doing the “heavy lifting” in this cleaner, while the 5-10% carbon dioxide acts as the propellant for the aerosol. Anything else that happens to be inside the can (coloring agents, odor agents, unicorn tears, etc.) probably aren’t doing any actual cleaning. The CAS numbers next to each ingredient are assigned by the Chemical Abstracts Service of the American Chemical Society. They classify and organize chemicals, assigning a unique numerical CAS identifier to every chemical substance described in the open scientific literature. You can look up any specific CAS number to learn more about that particular chemical’s properties. Those are the exact same values and CAS numbers as the so-called “Extreme” version. Again, because the ingredients are expressed in ranges, it’s possible that maybe one product has a bit more Acetone and a bit less Toluene… though for commercial reasons of economies of scale in manufacturing, I highly doubt it. It makes far more sense to manufacture in quantity, then package things differently for different markets. As far as I can tell, these are the same products: the 11 oz “Extreme” product is part of their Outdoor Line and marketed primarily to those wanting to clean guns, while the 14 oz standard can is marketed more broadly. Searching with their product numbers, I found the 11 oz “Extreme” version for $8.49 at Brownells, while the 14 oz “standard” can is $7.41 on Amazon and $5.88 at Cabelas. That’s the same product, being sold in a lower quantity, at a higher price, to a more “specialized” market. But let’s not only pick on Lucas. How about Shooter’s Choice Polymer Safe Quick Scrub Aerosol? Check the SDS: rubbing alcohol, Heptane, Toluene, and CO2. Their “improved” Quick Scrub III? Check the SDS: Methyl Acetate, Heptane, Toluene, and CO2. It’s nothing very special in there. With nearly all of the aerosol-based gun cleaners, you’re probably going to see similar combinations of basic solvents and degreasing agents. Yes, there are exceptions. But I’m talking about the majority. Like the Contact Cleaner, the Brake Cleaner is primarily Acetone using Carbon Dioxide as a propellant, but with lower percentages of Heptane, Toluene, and Methanol. Yes, it’s a different formulation, and therefore it’s a technically different product… but you probably wouldn’t be surprised if I told you that my personal testing has shown that this product is just as effective at cleaning and degreasing firearms as their Contact Cleaner. Plus, a 14 oz can of their Brake Cleaner is less than $5 on Amazon. But what about a different brand of non-chlorinated brake cleaner, such as CRC Brakleen (product #05088) that you can find at pretty much any local auto-parts store? 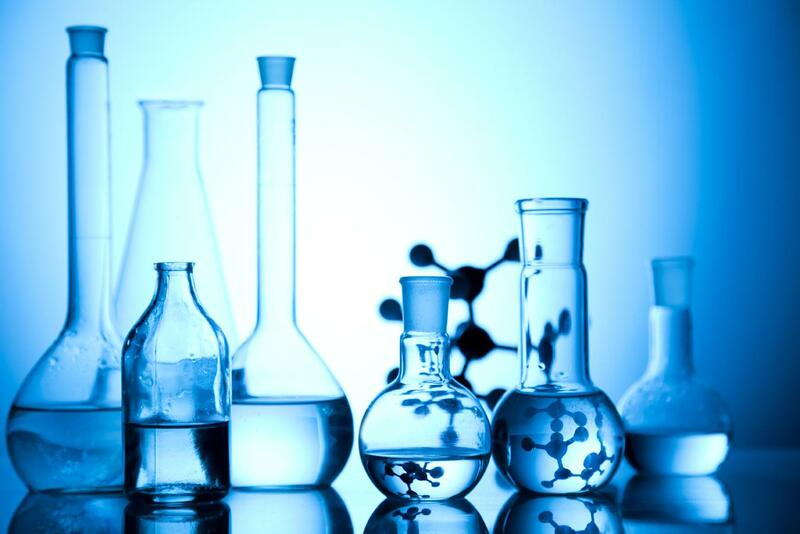 If you check its SDS, you’ll find some very familiar components: Methanol, Toluene, Acetone, Heptane, 5-10% Carbon Dioxide as a propellant, and a few very low-percentage amounts of some other popular solvents like 3-Methylhexane, Methylcyclohexane, Naphtha, Cyclohexane, and Ethylbenzene. None of these will hurt your gun or its finish. A 15 oz can (the largest in this group) is available on Amazon for only $4.18, but I generally wait for it to go on sale at my local auto parts store, then pick up two cans for $4 total. If nothing is on sale, I’ll often buy the “house brand” of an auto parts store’s non-chlorinated brake cleaner (always make sure you get the “non-chlorinated version”) and have found that it works just as well as any of the “gun-specific” aerosol cleaners on the market… because they’re all made of slightly varying amounts of essentially the same ingredients. This type of aerosol cleaner is great for completely removing all foreign substances from my firearms (carbon, dirt, grease, oil, or any other lube products). It sprays easily inside barrels and actions. It evaporates cleanly and leaves bare, dry metal. It won’t hurt polymer or most finishes (though I wouldn’t use an aerosol cleaner on anything like a revolver with a clear coat, which can be easily damaged). You can decide whether you want to spend $2 for a 15 oz can of aerosol metal cleaner (which simply happens to be marked “brake cleaner” on the label), or spend four times that amount on a smaller can of the same basic product, marketed specifically for guns. For me, the choice is easy. Though as always “your mileage may vary,” check manufacturer warnings, and always test new products in an inconspicuous place before spraying something all over your gun, especially if it has a special finish. You’d probably guess that the ingredients to the tried-and-true Hoppes #9 solvent (which I always have on hand) would be a trade secret, right? While exact formulation might be, you can actually download the Hoppes #9 SDS to see the primary ingredients: Ethanol, Kerosine, Oleic Acid, Amyl Acetate, and Ammonium Hydroxide (which is a fancy name for ammonia mixed with water — and the main ingredient in most window cleaners). It’s interesting to compare these ingredients with something like Ed Harris’ popular home-brew “Ed’s Red” solvent, which combines four equal quantities of Dexron II automatic transmission fluid, Kerosene, Aliphatic Mineral Spirits, and Acetone. Both use plain old petroleum-based Kerosene as one of their primary solvents, and Ed’s Red uses Acetone like most of the spray aerosols I checked. So whether you make or buy your own solvents, it’s important to do a little research and know exactly what you’re putting on or in your gun. For example, if you browse through the SDS info for various popular solvents from Shooter’s Choice, you’ll see a lot of ingredients there that are common to a number of other popular solvents. And that’s because they all work. Sometimes you want a gun cleaner that’s effective… but not so strong that it risks damaging fragile finishes. There are a number of gun solvents known for being gentle on finishes, with the popular MPro7 being one of the most popular (and one that I usually have on-hand in my workshop). But do you want to know why MPro7‘s liquid gun cleaner is so gentle on firearms? Check the SDS, which lists only two primary ingredients. It’s 75-85% water! The actual solvent work is done by 14% Diethylene Glycol Monobutyl Ether — a very common and gentle solvent used in paints and many cleaners due to its low odor and high boiling point. Even at the maximum amounts, that only accounts for 20% of the ingredients. So we’re left to guess at what else is in there… or are we? While 80% (ish) of the ingredients aren’t disclosed, the TDS shows it uses a “Lithium Complex” thickener and has a “Smooth, Tacky” texture with a “Deep Blue” color. It also shows precise data for how the grease stands up to a number of industry-specific and numbered ASTM tests (which stands for American Society of the International Association for Testing and Materials). Now check out Lucas’ popular Marine Grease (which I’ve used for years on trailer bearings). The SDS will look “extremely” familiar (pun intended): the same ingredients in the same percentages as the Extreme Duty Gun Grease. The TDS will also look familiar: “Lithium Complex” thickener, “Smooth, Tacky” texture and a “Deep Blue” color. Now compare the ASTM test results on the Marine TDS head-to-head against the TDS of the Extreme Duty Gun Grease (spoiler alert: every single one is identical). The only difference on the TDS test areas are that the Gun Grease has a grape odor, while the Marine Grease has no added odor. So while we may not know 100% of the ingredients of the gun-specific grease, it seems a pretty safe conclusion that whatever’s in it is the same as what’s in Lucas Marine Grease (which again… is an excellent product) with some grape odor mixed in. And if that’s not exactly “molecule for molecule” what it is (but I really think it is), it’s close enough not to really matter. The Lucas Marine Grease is an excellent firearms grease, at a fraction of the cost of their firearms-marketed version. You can buy a 1 oz tube of the Extreme Duty Gun Grease on Brownells for $9.89, or a 6-pack on Amazon for $58.29. Even at quantity, it’s almost $10 per ounce. Or you can buy a 14 oz tube of Lucas Marine Grease on Amazon for $10.29, which works out to less than 74 cents per ounce. But marine lithium grease isn’t the only non-firearms grease that works well in firearms applications. I happen to know that SIG Armorer Robert Burke uses Super Lube as a firearms grease. It’s an extremely high-quality synthetic grease containing Polytetrafluoroethylene (aka Teflon), which I first purchased years ago as an O-ring lubricant in motorsports and plumbing applications. I now also use it on my guns. You can pick up a 3 oz tube on Amazon for $5.56 ($1.83 per ounce), or a 14.1 oz can for $9.74 (69 cents per ounce). I could do the same thing I’ve done above with gun-specific oils, but by now… you get the idea and can do the research yourself. Go ahead an sound off in the comments if you discover something interesting in your gun oil SDS research. Search for your favorite gun oil, then compare it to some others. You might find they have more in common than you think. As for what I currently use, I happen to be a Ballistol fan… but I’m not a zealot. I have many firearms friends who happily use Mobil 1 synthetic motor oil from the auto parts store. Think about it: it’s designed for use in high-temperatures caused by combustion, keeping things clean while resisting carbon build up, and lubricating metal parts that move much faster with higher cycling rates than anything in a firearm. Again, there’s nothing “magic” about firearms-specific oils. A wide variety of non-gun-specific oils will work well as firearms lubricants. I mentioned above that I currently use Ballistol on my firearms (I also use grease where needed). But because I’m not a zealot, I previously tried out FrogLube for a while. What both of these products have in common is that their SDS docs don’t contain very much info, because their ingredients aren’t listed by any of the classification agencies as potentially “hazardous” (the aerosol version of Ballistol is the exception… but only the propellant is listed). The Ballistol SDS does at least list its contents as “medicinal grade mineral oil, alkaline salts of oleic acid, several alcohols, Benzyl Acetate and an oil from vegetal seeds.” Ballistol isn’t technically “food grade,” but it still qualifies as an “all natural” product. FrogLube is classified as “food grade,” and as such, the FrogLube SDS is filled with a bunch of “N/A.” I don’t personally use FrogLube any more because I don’t like how it gets on guns that sit in storage for extended periods of time (I know… the easy solution is to shoot those guns more), but it works well and has plenty of fans. If you happen to be one of them… may I suggest that you also check out TrackLube Plus. Originally designed as a food-grade roller coaster track lubricant well before FrogLube ever existed, TrackLube is now being marketed as an “eco-friendly lubricant that you can use in multiple ways.” Like FrogLube, it comes in both a paste and a liquid. If you do a little online digging, you might even start to find some extreme similarities between TrackLube, FrogLube, and another food-grade CLP (cough cough… I personally believe FrogLube is TrackLube with some mint odor mixed in). A 4 oz bottle of FrogLube liquid has an MSRP of $19, while 4 oz of TrackLube liquid is $14.99 (though you can often find FrogLube on Amazon for around $12). As for exactly what “food” makes up these food-grade products? I recommend reading Andrew Tuohy’s post on FrogLube, TrackLube, and SEAL1 Laboratory Analysis. But if you’re in a rush, here’s the TL;DR version: infrared spectroscopy testing showed with a high degree of certainty that all three products are identical… and are almost certainly made of colored and scented coconut oil — with an additional additive that lowers the product’s melting point to prevent it from re-solidifying in colder weather. 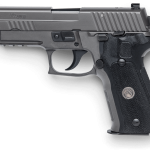 In discussion forums or any of the Facebook gun groups I read (including the SIG Sauer and SIG Sauer Legion Facebook groups I admin), there’s usually a discussion of gun products at least once a week. I always say the same thing in these discussions: that you clean and lubricate your guns regularly is far more important than what you clean and lubricate with. In a pinch, even spitting on a dry slide rail would be better than running it bone dry. Of course, I’m not suggesting you start spitting on your guns. There are plenty of products available that will do an adequate job of properly cleaning and lubricating your firearm… which is exactly the point of this article. There are plenty of products available. Most of them will work just fine. And the majority of products that work well on your firearm aren’t even firearm-specific. That you clean and lubricate your guns regularly is far more important than what you clean and lubricate with. Show you a quick and easy way of identifying the primary ingredients for a majority of the gun chemicals (solvents, CLPs, lubes) on the market. Expose that a number of manufacturers of gun-specific products also make non-gun-specific counterparts that are often very similar in formulation, work just as well, and usually cost a fraction of the gun-specific version. Demonstrate that many cleaners and lubes from different manufacturers are often far more similar than they are different. Convince you to be more “agnostic” in general about your firearms chemical choices, more willing to experiment with non-gun-specific products for your firearm, and perhaps be less “zealous” about your own product choices and less judgmental about others’ choices. So don’t believe the hype surrounding the latest molecular advances in firearm cleaning and lubrication. And be more open-minded about the products others may be using. That they’re actually caring for their guns is the most important thing. You wanna rock old school with Hoppes #9 and Rem Oil? Rock on. You’re a die hard FrogLube fan? Frog on. BreakFree CLP was good enough for you in the military, so it’s still good enough for you now? Damn straight, it is. You like the smell of eye-stinging industrial strength licorice combined with German heritage? Join me in camp Ballistol. Like your gun grease to stay where you put it? Check out Brian Enos’ Slide Glide or Lucas Red N Tacky #2 Grease (both are always in my workshop). You wanna run your guns wet? Run ’em wet. Prefer them dry? Be my guest. Gun guys (and gals) are generally all about personal freedoms, so it makes me scratch my head to see such a group get all up in each others’ grilles regarding their personal choices in guns and gun products. I’m probably never going to have to depend on your gun to save my life (though if you’ve ever served in the military, you have helped protect my way of life, in which case, I thank and salute you). The concept of “Don’t Tread On Me” should extend to each of our personal choices in cleaning and lubrication products. Just keep your eyes open to what’s actually in those products, and use whatever works best for your gun, your environment, and your budget. It’s interesting to know what others use, but succumb to peer pressure. Use what works for you. And if your significant other likes the smell of Hoppes #9 dabbed behind the ears… consider yourself lucky.